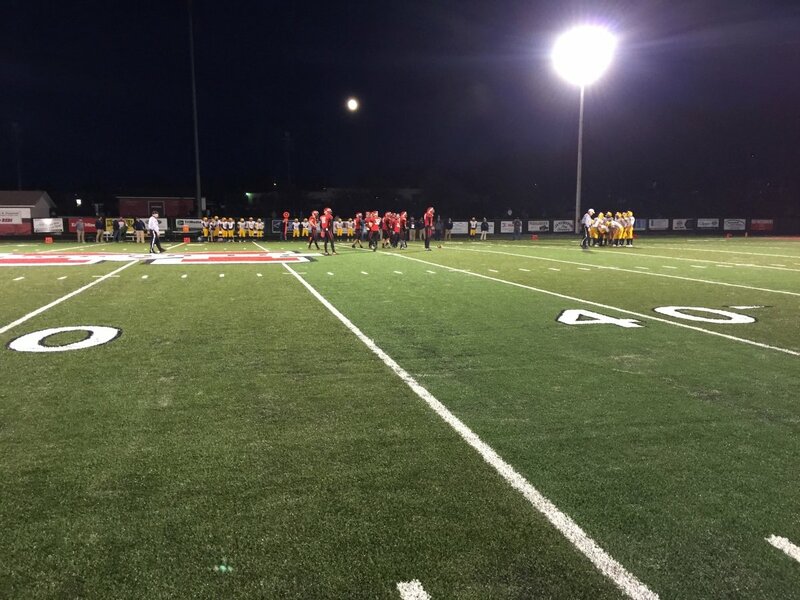 Marquette, MI – October 14th, 2016 – It was an exciting night at Marquette Senior High School, as the Marquette Redmen played their very first game on their new turf, and they took on their long-time rivals, the Negaunee Miners! The Marquette Redmen started off the game by receiving the kick off, however, the Negaunee Miners defense held strong. By the end of their drive, the Redmen gave up a safety, and the Miners put the first points of the game on the scoreboard. After the kickoff, Negaunee drove hard and scored the first touchdown on the new field, making the score 0-9, and that’s how it would stay until the end of the first quarter. Negaunee held the ball going into the second quarter, but the Marquette Redmen were doing everything they could to hold them off. The Redmen had some great defensive plays, but it wasn’t enough to hold off the Miners as they added another touchdown to their score. After a good two point attempt, the score was 0-16. 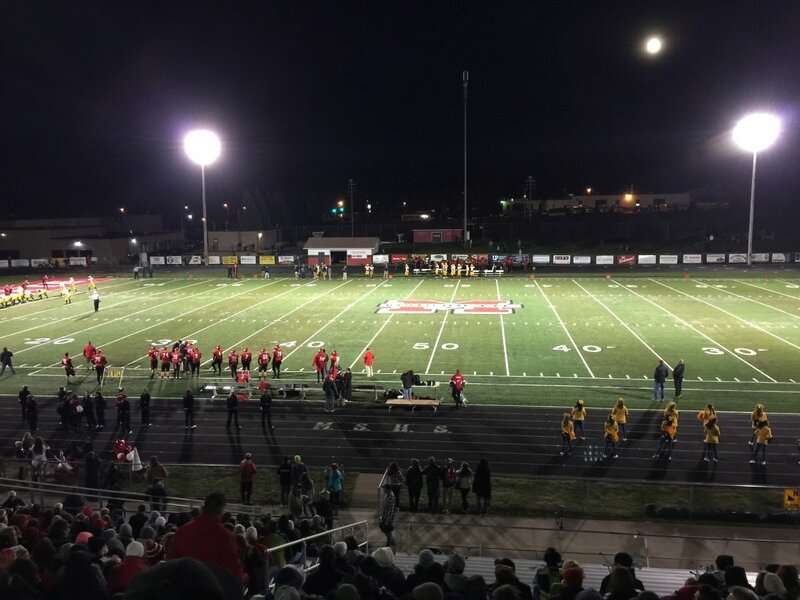 Marquette was giving it their all in front of their fans on the new turf, but they ended up trailing by 16 at the end of the first half. The Marquette Redmen were having a tough time dealing with the strong Negaunee Miners’ offense as the second half of play stared with the Redmen kicking off to Negaunee. However, Marquette’s punter was having a standout game, with multiple punts for more than 60 yards. Near the end of the third quarter, Negaunee continued to add to their total with another touchdown. 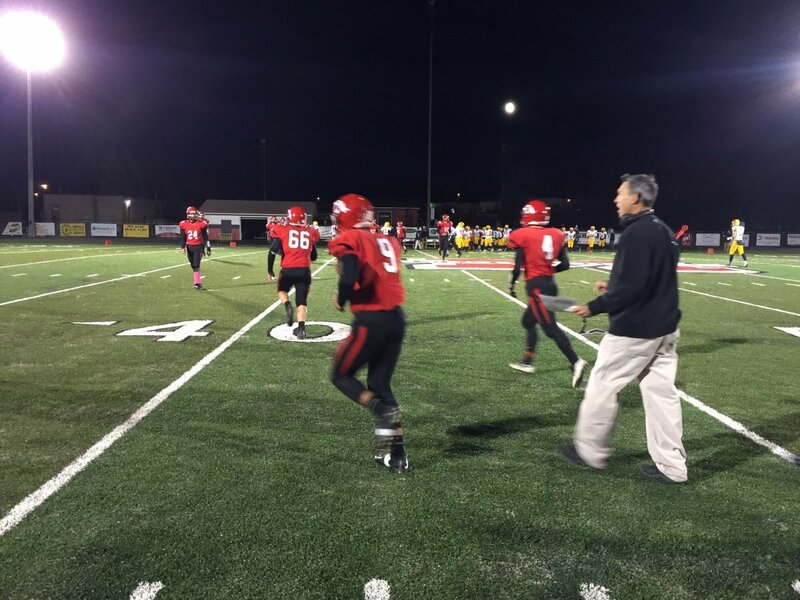 After their second completed two point attempt of the game, the score was 0-24, and that’s how the third quarter would end. In the final quarter of the game, Marquette was giving it everything they had to stop the Negaunee Miners, but their offense was just too strong. After several big defensive plays for Marquette, the Miners added eight more points to their total, making it 0-32 as the game was winding down. 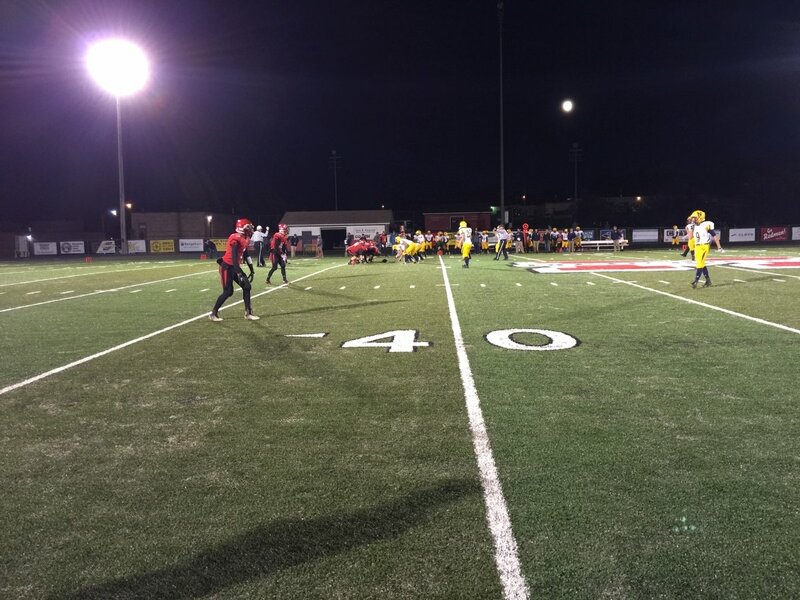 The Marquette Redmen gave everything they had, but in the end, they were unable to stop the tough Miners team. 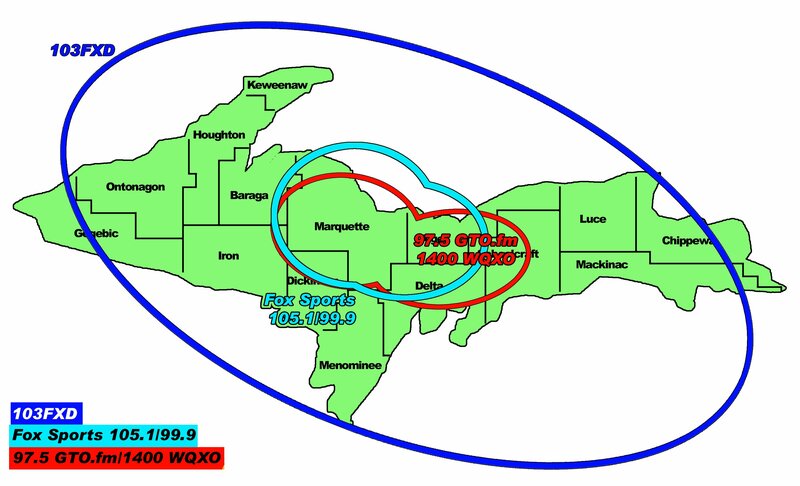 Tune in next Friday as your Marquette Redmen take on the Menominee Maroons down in Menominee. 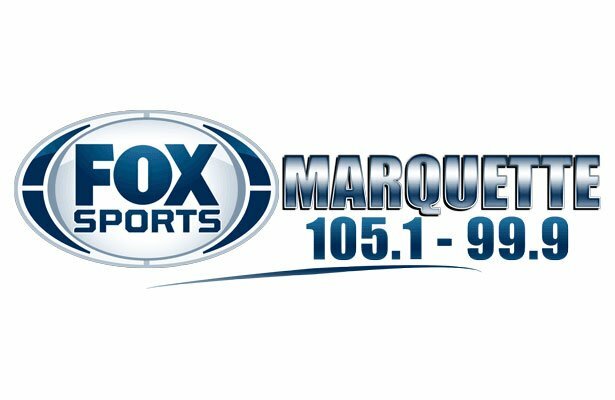 Kickoff is set for about 6:30pm, only on Fox Sports Marquette 105.1 & 99.9FM and Simulcast on 103-FXD!